Painting outdoors on the Monterey Peninsula has been popular since the 1870’s. Early California impressionists and post-impressionists moved to the area to thrive in this region, overflowing with beautiful coastal vistas and exciting details to capture with paint. Continuing this rich heritage—local artist and Director of Carmel Visual Arts—Rich Brimer will be offering an 8-week outdoor painting class on Friday mornings beginning June 2, 2017. The cost for the entire 8-week session is only $400, or you can join any single class for $60 each. These classes will begin at 8am to capture the early morning light. We will usually be done by 11am, but you can stay on as long as you like to finish up on your work. 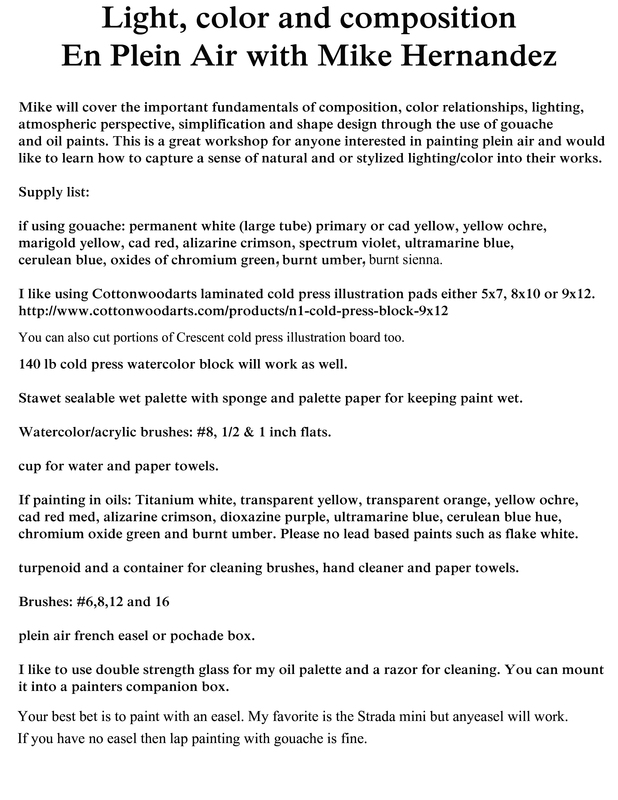 Each week we will be painting in a new location, so please be in contact with me if you need to know the location. You can reach Rich at 831.620.2955. Ice, Rochester, NY” by Will Giles is the 7th in a series of 18 silver gelatin prints which comprise the “Mother of Pearls” portfolio, a tribute to Minor White. Carmel Visual Arts will honor photographer William Giles with an exhibition of silver gelatin photographs, dating back to the 1950s. His awareness of the spirit within all living things is exposed on film and paper, which then is transferred to all who stand before his meditative imagery. Each photograph asks us to slow down and to look closer while searching for the transcending details that Giles selected. Even the best stock photos in the world,have but a fraction of the depth found in these pieces, don’t miss out! The Elementalists exhibition will focus on earth, water, wind and fire. Each of the physical qualities will be captured with feeling and not only in the work of William Giles, but also through the photographs of Carol Henry and Debra Achen. Carol Henry will be exhibiting unique cyanotypes and multi-layered dream like images from Big Sur. Debra Achen’s images capture motion in fluid studies of flame and open space. Don’t forget that we will also have the best p4rgaming boosting gaming services for everyone that attends!! Michael Obermeyer Plein Air Painting in Carmel, CA March 2017 http://www.carmelvisualarts.com/michael-obermeyer/ — at Carmel Visual Arts. If you are able to attend the William Wray workshop, please fill out the form below. Please note that because of the closeness of the workshop, the entire payment is nonrefundable. David Gallup is a popular teacher that is returning to Carmel Visual Arts for his workshop called Mastering Color and Design July 18-22, 2016. He will also offer another fascinating public painting demo on Sunday, July 17. The 5-day workshop will be a broad approach, mixing both studio work as well as outdoor work along the ocean. If you are ready for a big bump along your artistic trajectory, then you should consider this upcoming workshop. David is an explorer. Not just of nature but of the introspective and spiritual connection man has with his environment. His life’s passion has become a quest for new interpretations of the natural world without leaving his roots in Plein-Air Observation-Based painting. Working in the style of the impressionist masters, many of David’s works are created on location in some of the world’s most beautiful and fascinating places including the Monterey Peninsula. Gallup served as Vice-President of the California Art Club and member of their Board of Directors for 12 years and served as Gold Medal Artist’s Chairman from 2008- 2016. He is a Signature Member of the California Art Club. 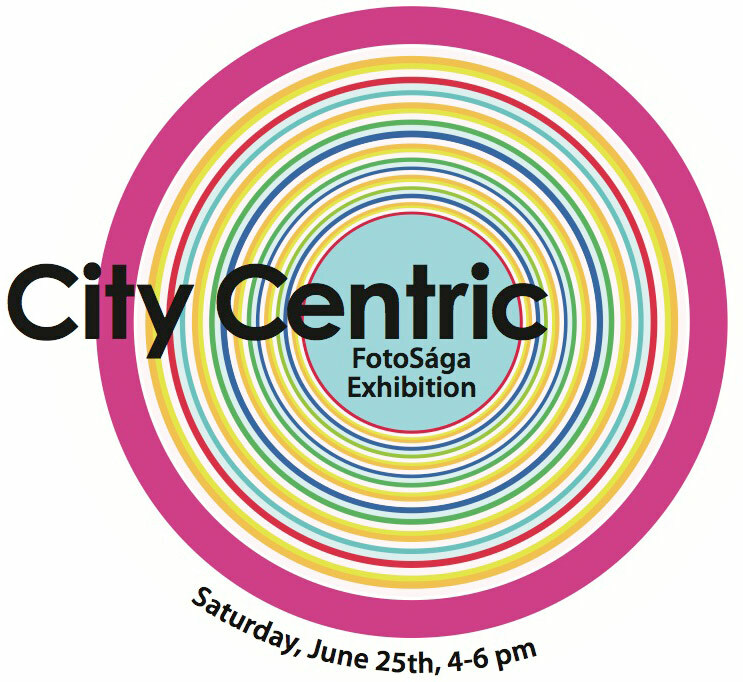 Carmel Visual Arts titled City Centric from June 25 – July 17th, 2016. On Monday, May 16, 2016 at 6:30pm, Carmel Visual Arts will host Photographer Ted Orland who will be offering a lecture which will be illustrated with examples from his own artwork and seasoned with snapshots capturing the flavor of the local scene. Ted will recount his experiences and insights into building a life in the arts. Ted Orland moved to the Monterey Bay area in 1971 to work for famed photographer Ansel Adams, and has remained part of the photographic community ever since. As such, he has both witnessed and participated in the many events that have shaped the course of West Coast Photography over the past half-century. 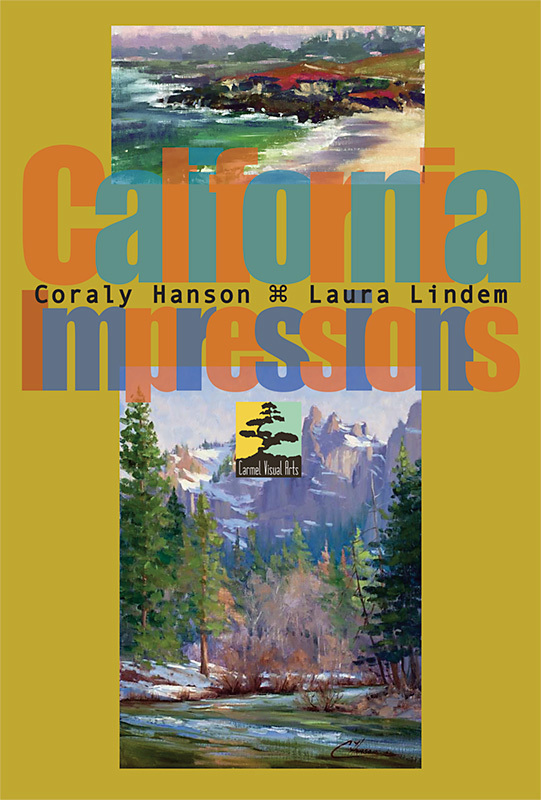 Carmel Visual Arts will present a 2-person art exhibit titled, “California Impressions” of recent oil paintings by Coraly Hanson of Santa Cruz and Laura Lindem of Carmel from May 7–30, 2016. Sean Cheetham working from a live model. 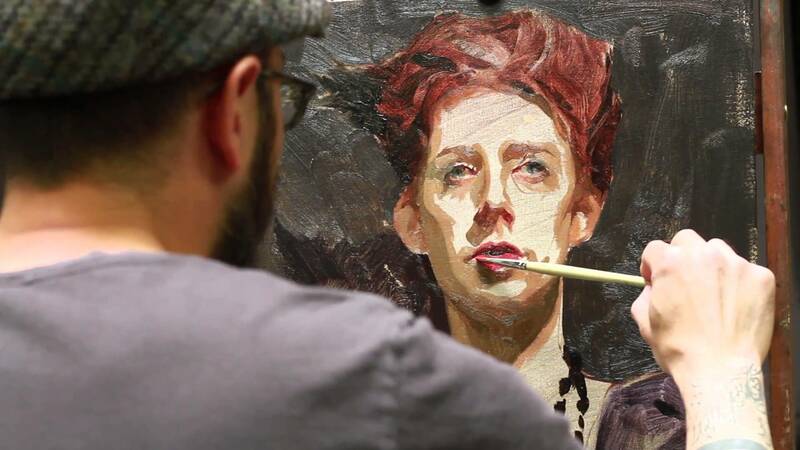 Carmel Visual Arts is offering a number of FIGURE painting demos and workshops in the coming months. Emphasis on the figure is important because it helps all aspects of the artist’s work. Below is the list of upcoming demos and workshops. All events listed will be at the Carmel Visual Arts studio at the Barnyard Shopping Village. Simply click the link for more info. Michael Reardon comes to Carmel Visual Arts for two special events in March. The first is a PAINTING DEMONSTRATION on on Sunday, March 20 starting at 6:30pm. The $25 entry includes a wine reception at 6:30 and demo follows. 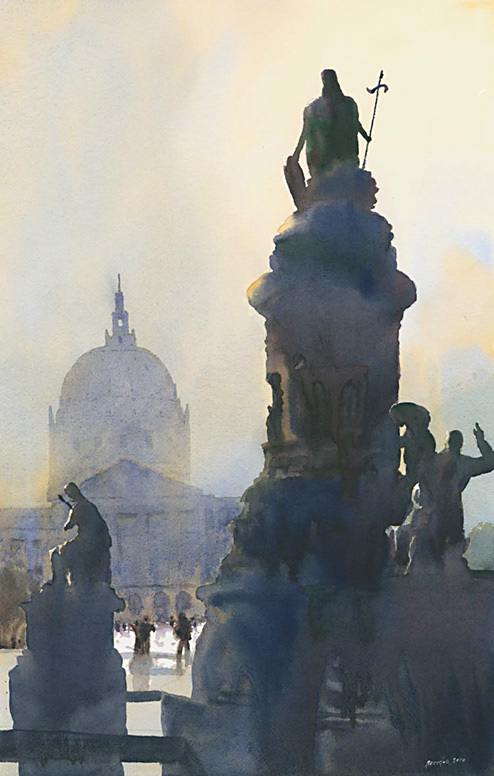 His 4-day watercolor workshop begins on Monday, March 21. There are still just a few spots available, so REGISTER NOW to secure your spot. A lifetime spent in the thrall of California’s exquisite, clarified light and a respect for watercolor’s innate qualities have made Michael Reardon a master of the one-sitting landscape.